The 2017 Acura NSX, which already won 2017 Performance Car of the Year from Road and Track Magazine, is now one of six vehicles selected by Automobile Magazine as 2017’s All-Stars. While 6 vehicles from all walks of life were recognized as elite automobiles, the NSX was the first car to warrant mention, and looks like a strong contender for the revered motoring magazine’s Automobile of the Year Award. 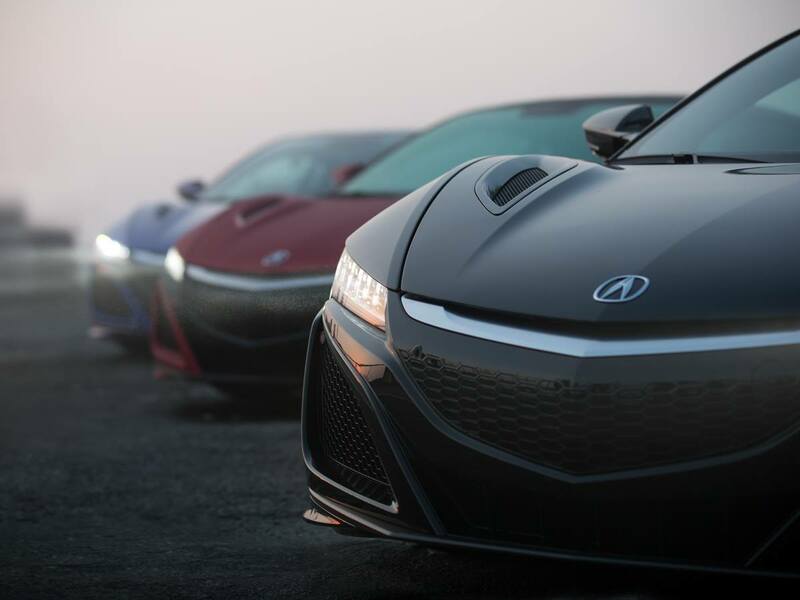 Editors noted the differences between the 2017 NSX, which utilizes 3 electric motors and a twin-turbo V6 engine to go from 0-60 miles per hour in mind-melting 3 seconds, and the original NSX, which was a considerably lighter, less-powerful, and less technologically-driven vehicle. We definitely know what they’re talking about: we sit in a showroom with both cars every day! But when the NSX was originally introduced, the car world was a very different place. There were no mass-produced hybrid vehicles, there were no Japanese supercars, and there was no vehicle that offered daily-driver reliability with track day performance. The NSX, which offered Ferrari power and Honda reliability at a reasonable price, changed all that, and changed the way we think about cars in the process. That NSX, which was named an All-Star winner, went on to be named Automobile Magazine’s 1991 Automobile of the Year. We have a sneaking suspicion that, more than a quarter century later, the 2017 NSX may take its place next to its older sibling.